So you think you have to design everything? Well… a lot is already there. 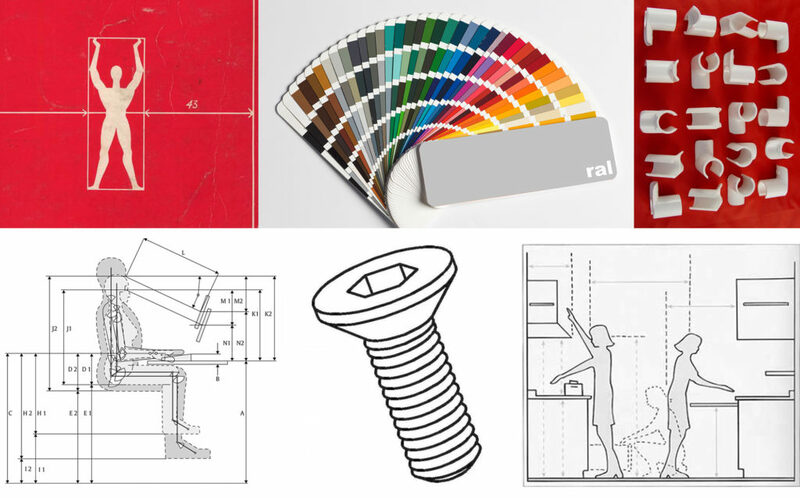 standards in wood, metal, plastics / standard components for furniture / standard colours / standards for pricing / standards for drawings / standard sizes for kitchens and offices / various heights, angles and depths for furniture. Every meeting we will start with a short intro on any kind of standard. All good to know about, since it affects how and what you design. The aim is to design objects that take these standards in account and challenge them with results that are far from standard. integrated short project: with one standard Ø of steel tube for all of you and one standard component that fits to this Ø and is found by you (a cap, a hook a snap, a …) you design and realize a useful product.